Looks like Christmas has come early for us auto enthusiasts. December is usually a slow month in terms of new products, but 2016 is clearly a year unlike any other. 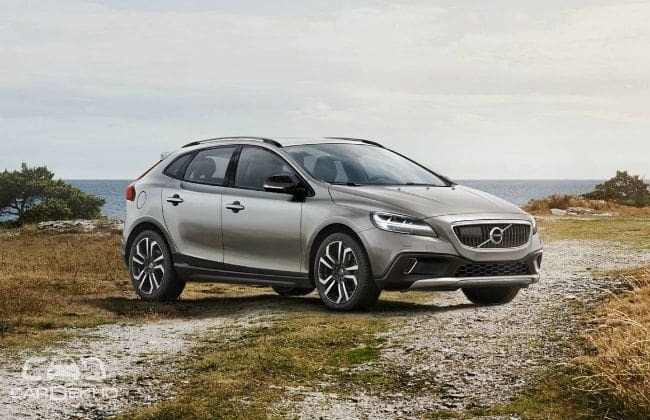 Swedish automaker Volvo has decided to join the fray as well, with the launch of the updated V40 and its adventurous cousin – the V40 Cross Country. The hatchback is the most affordable car with the Volvo badge to be sold in India. What’s changed? The update is a ‘facelift’ in the truest sense of the word. The V40 gets an updated front fascia that now houses Volvo’s signature ‘Thor’s hammer’ all-LED headlamps. Other updates include a new waterfall grille with a prominent 'Iron Mark' Volvo insignia. Other than the face, everything else remains unchanged. So, it continues to get 16- and 17-inch alloy wheel options, and the LED waterfall tail lamps. The Cross Country features the same updates, and carries over its usual design traits such as the all-round matte black cladding and raised suspension. The interiors of the V40 twins remain more or less unchanged with the facelift. Goodies include a digital instrument cluster, automatic climate control, leather upholstery and a massive panoramic sunroof. Both the V40 and the V40 Cross Country remain completely unchanged mechanically. The former continues to get a lone 'D3' 2.0-litre diesel that churns out 150PS of power and 320Nm of torque. Additionally, the Cross Country gets a 'T4' petrol motor that is good for 190PS and 300Nm. Both motors power the front wheels via Volvo’s six-speed automatic gearbox. The Volvo V40 and the Cross Country take on the likes of the BMW 1 Series and the Mercedes-Benz A-Class, that are priced at Rs 31 lakh and Rs 27.45 lakh, respectively.